Samsung Galaxy Tab S comes with two versions - 10.5” and 8.4”, both of which featuring Super AMOLED displayer. The slim and light body delivers 2560x1600 resolution, leading you to a world of color and vividness. To have a better knowledge of Samsung Galaxy Tab S supported video formats and get the right and best video player installed on it is significant for creation of pleasant entertainment. H.263, H.264(AVC), MPEG4, VC-1, Sorenson Spark, MP43, WMV7, WMV8, VP8. It is really necessary for you to know which video format can be played by your Samsung Galaxy Tab S, or you’ll run into playback issues. As Samsung Galaxy Tab S runs Android 4.4 (KitKat), BSPlayer is suitable for it is Adroid 4.4 compatible. It supports media playback such as avi, divx, flv, mkv, mov, mpg, mts, mp4, m4v, rmvb, wmv, 3gp, mp3, flac, etc. KMPlayer for Android allows you to enjoy HD videos on the go. File formats supported by it include 3g2, 3gp, 3gp2, 3gpp, amv, asf, avi, divx, drc, dv,f4v, flv, gvi, gxf, iso, m1v, m2v, m2t, m2ts, m4v, mkv, mov, mp2, mp2v, mp4, mp4v, mpe, mpeg, mpeg1, mpeg2, mpeg4, mpg, mpv2, mts, mtv, mxf, mxg, nsv, nuv, ogm, ogv, ogx, ps, rec, rm, rmvb, tod, ts, tts, vob, vro, webm, wm, wmv, wtv, xesc. MX Player is one of the best ways for you to enjoy movies, and is the first Android video player that supports multi-core decoding, ensuring better performance than sing-core devices. To make your Samsung Galaxy Tab S hold and handle every possible video source (e.g. Blu-rays, DVD/IFO/ISO, camera recordings), a Galaxy Tab video converter is a must-have app. 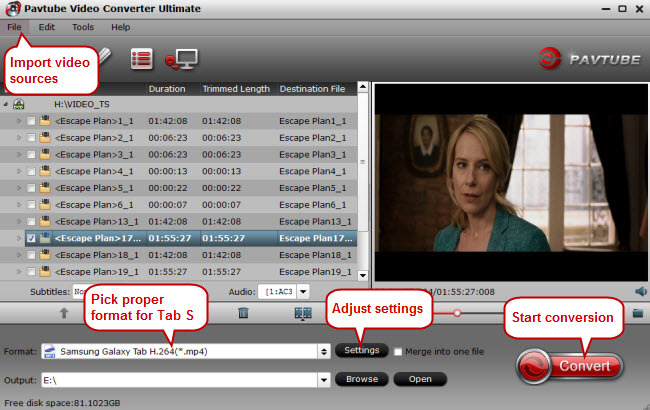 Pavtube Video Converter Ultimate (iMedia Converter for Mac) makes it easy to play and edit every media file you own. 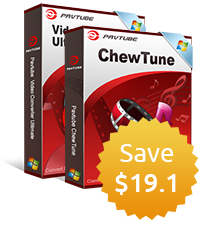 Enjoy Pavtube 2015 Christmas great promotions with up to 40% off discount for Blu-ray/DVD/Video conversion software.